The governing body of Viqarunnisa Noon School and College on Wednesday suspended the three accused teachers in line with the Education Ministry's direction over the suicide of class IX student Aritry Adhikary. The authorities of the institution took the decision in an emergency meeting in the evening. The three teachers are Acting Principal Nazneen Ferdous, Zinat Akhtar and Hasna Hena. The decision to keep the institution closed has been cancelled and the classes will start from Saturday, the chairman said. Earlier in the day, Education Ministry asked the governing body of Viqarunnisa Noon School and College to suspend their three teachers. 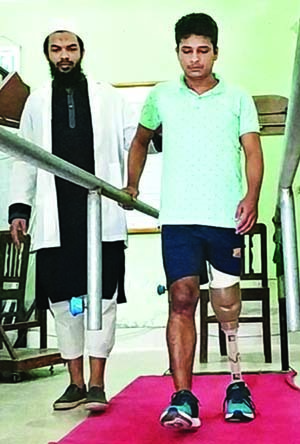 The Ministry also asked the director general of Rapid Action Battalion (RAB) and the Commissioner of Dhaka Metropolitian Police to take steps for justice. Education Minister Nurul Islam Nahid issued the order at a press conference after getting the report of the probe body formed by the ministry. 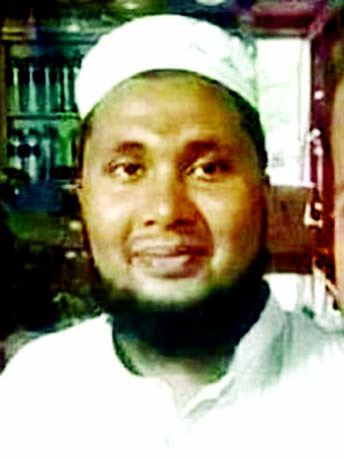 The report found three teachers including principal of Viqarunnisa Noon School and College responsible for provocation the suicide of Aritree Adhikari. The ministry has also decided to cancel the teachers' MPOs (Monthly Pay Order), Nahid said. 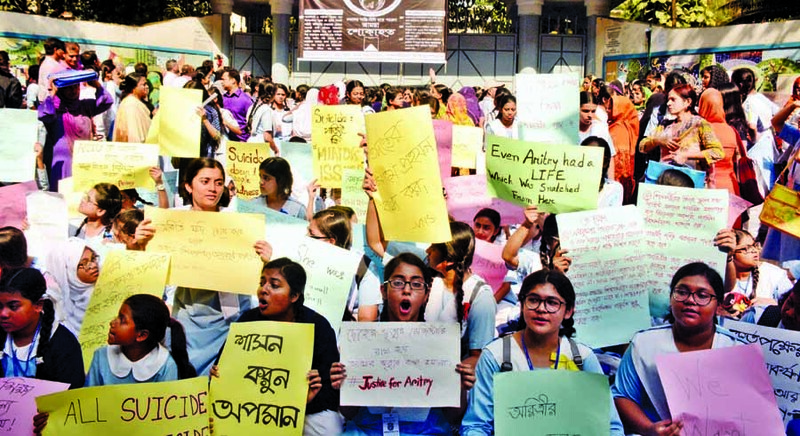 The death and the subsequent agitation joined by parents rocked the 66-year-old institute and prompted the Education Ministry and the school authorities to form two separate probe committees. Besides, the High Court directed the Education Secretary to form another five-member committee headed by an additional secretary of the ministry to look into the matter. Hundreds of students on Wednesday demonstrated in front of all the branches of the institution for the second consecutive day. They also vowed not to stop their demonstration until the teachers do not get their due. The students began their demonstration chanting "It is not suicide, it is a murder" in front of the Gate-1 of the main campus. Holding placards, hundreds of students along with their guardians gathered in front of the gate protesting the suicide of a ninth grader. They placed six points demand and called upon the government to press home demands, which are: everyone in the governing body must resign, Principal must resign and brought to justice for instigating suicide, principal must apologise publicly for her behaviour, students must not be harassed mentally or physically, students must not face threat of expulsion, the institution needs to have student counselors. On Tuesday, Aritry's father Dilip filed a case with Paltan Police Station accusing Nazneen, Zinat and Aritry's class teacher Hasna Hena of provoking the suicide.